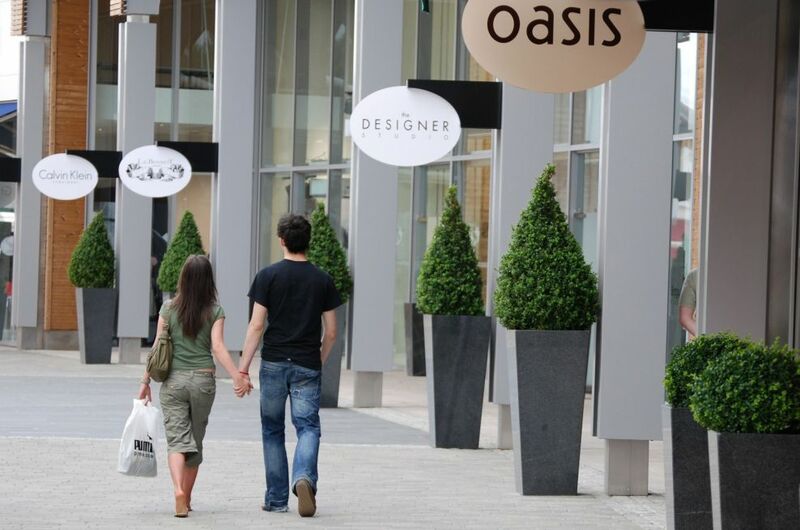 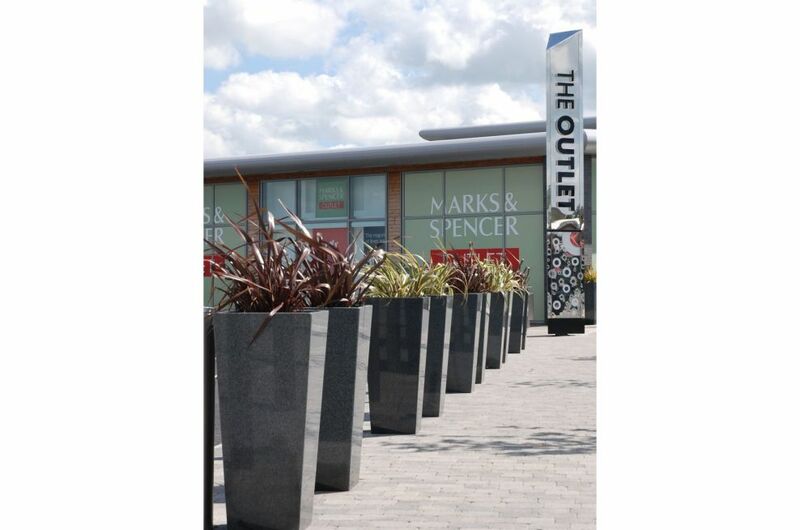 IOTA was commissioned by landscape architects Hyland Edgar Driver to supply planters for The Outlet designer shopping mall in Banbridge, N. Ireland. 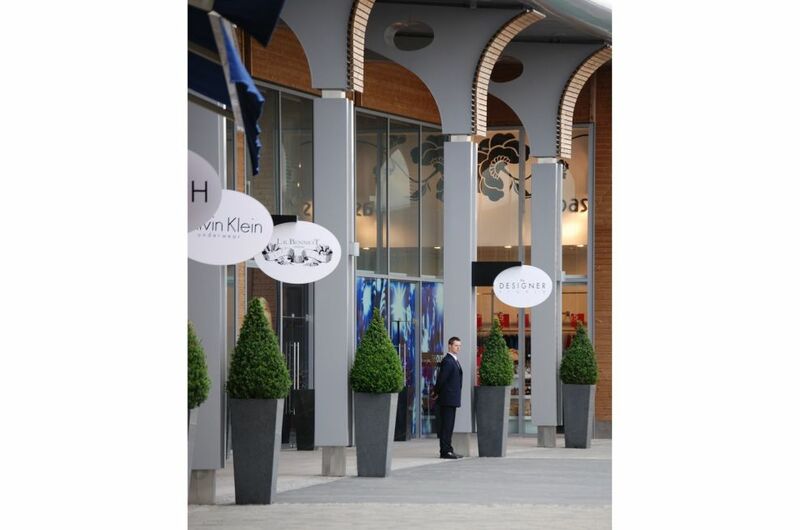 The mall comprises 78 shop units on an outdoor site, the tenants including Armani, Calvin Klein, Joseph, Ghost and Jaeger. 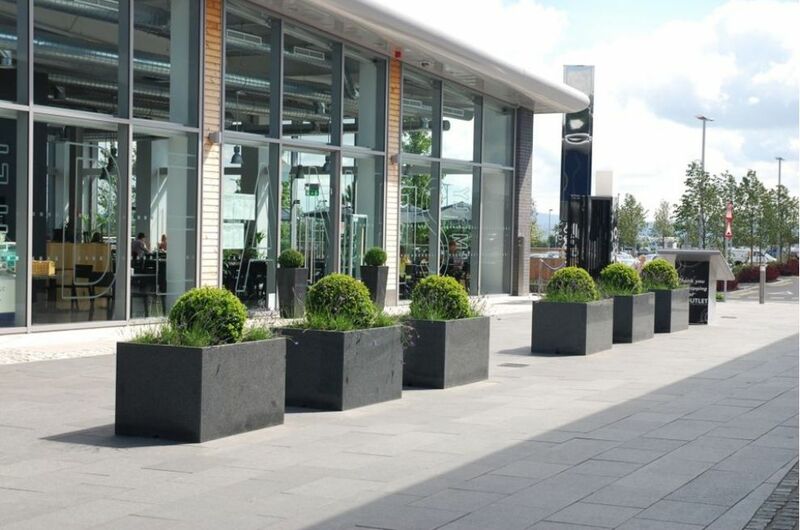 IOTA’s large garden planters were the only form of soft landscaping used within this prestigious development. 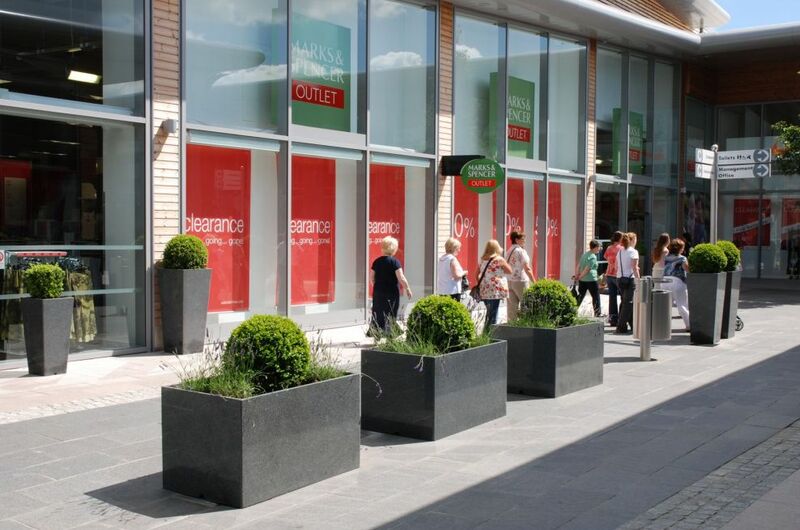 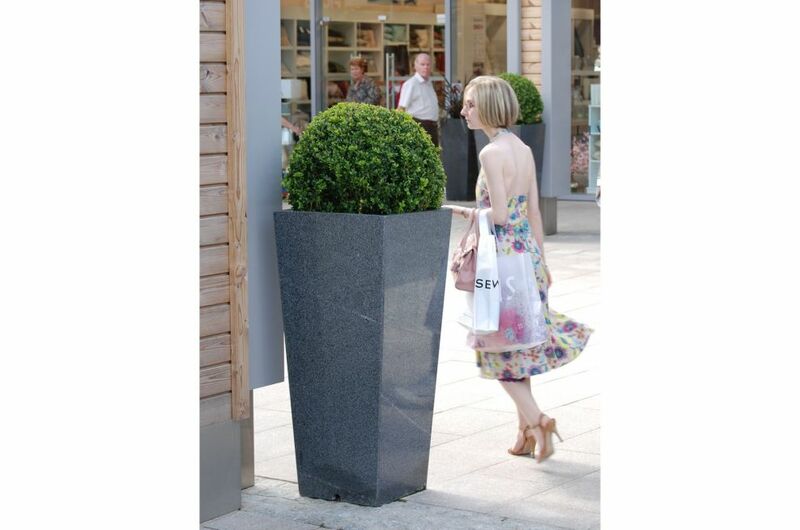 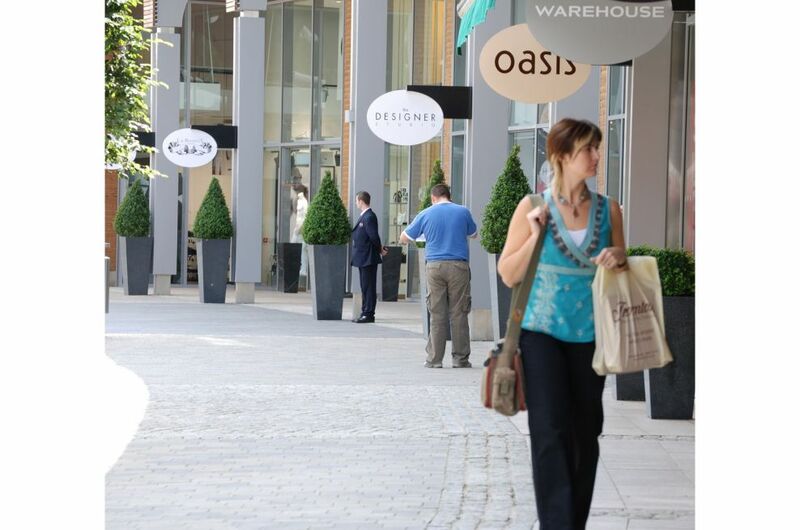 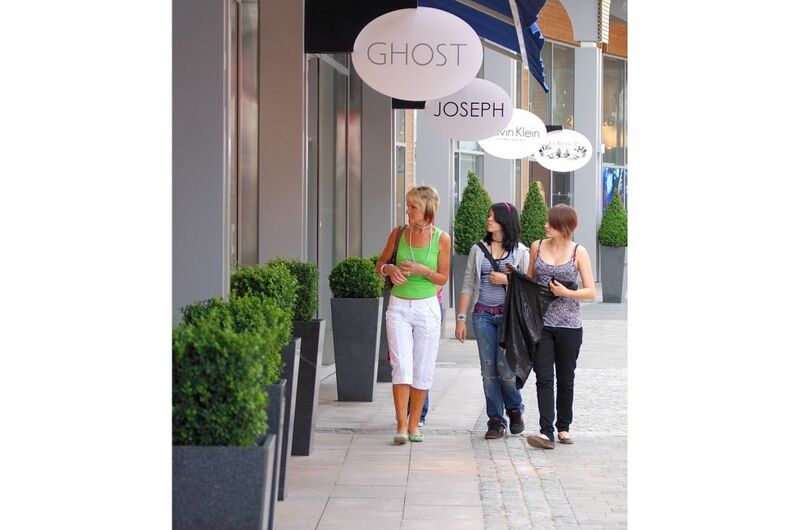 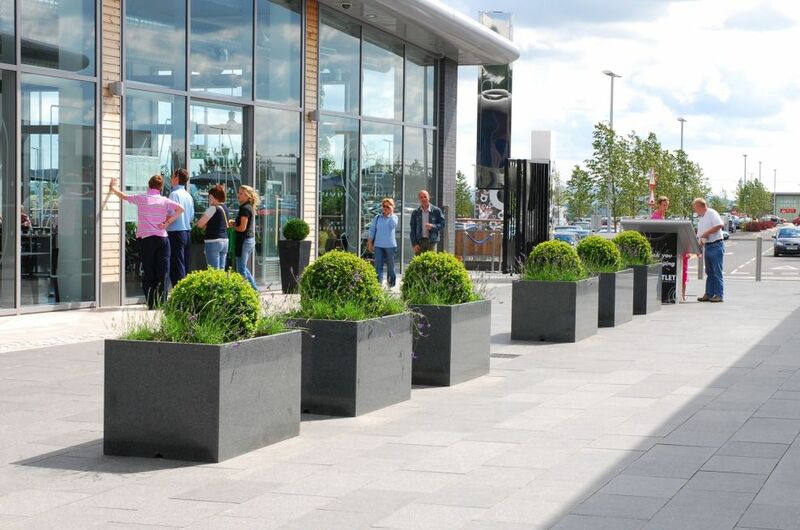 Granite planters were chosen to reinforce the upmarket shopping environment, and a mixture of stock lines and larger bespoke sizes were used, totalling 234 pieces. 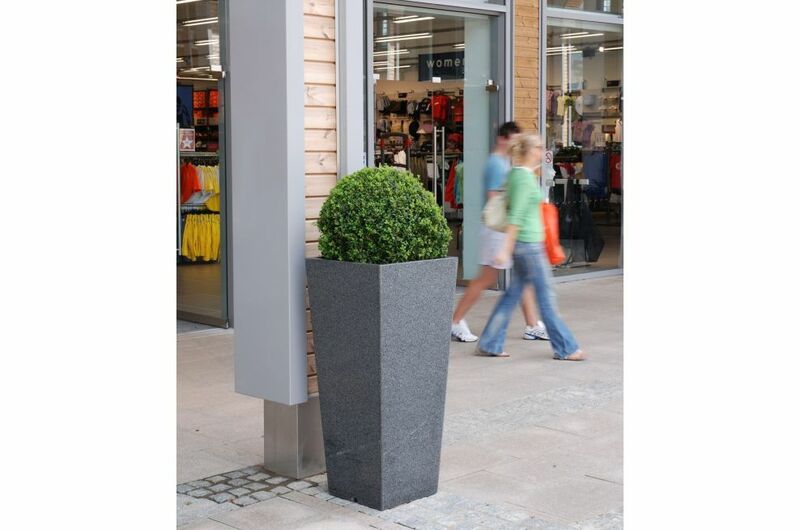 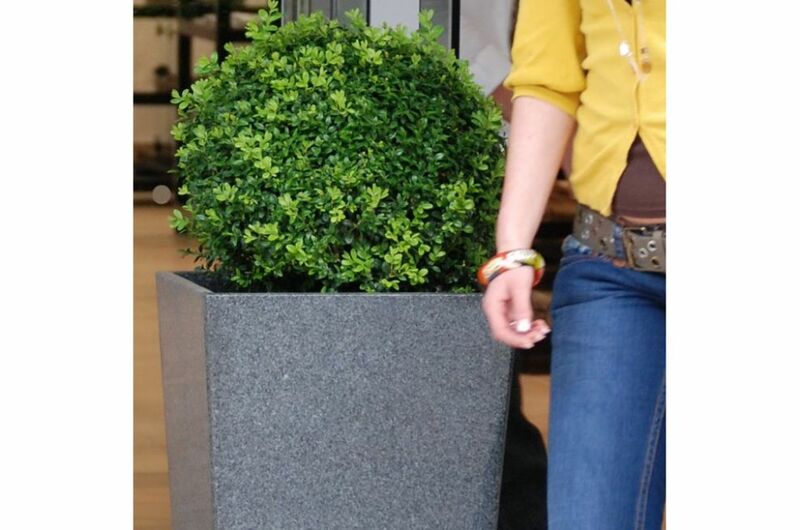 These robust and contemporary planters not only provide colour and interest, but also play a central role in defining different areas within the mall, and directing customer flow. 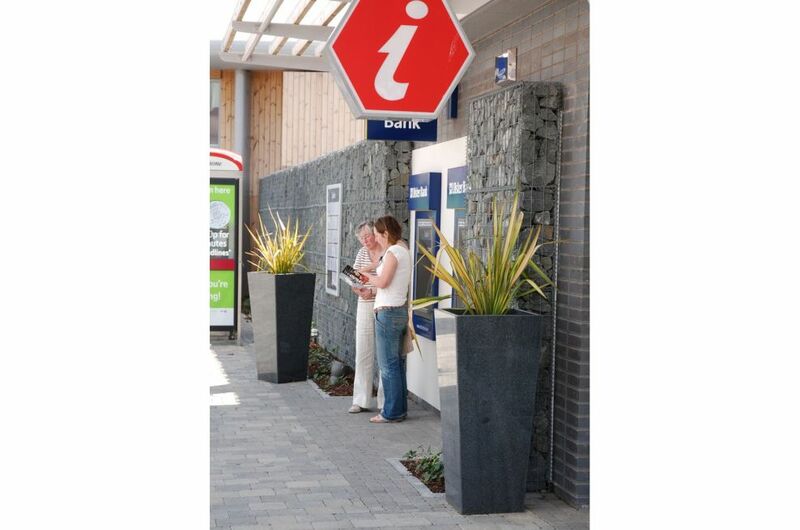 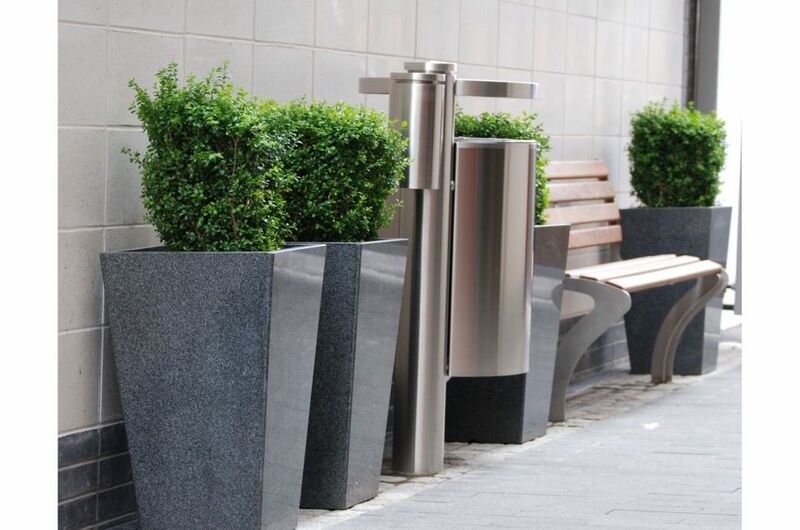 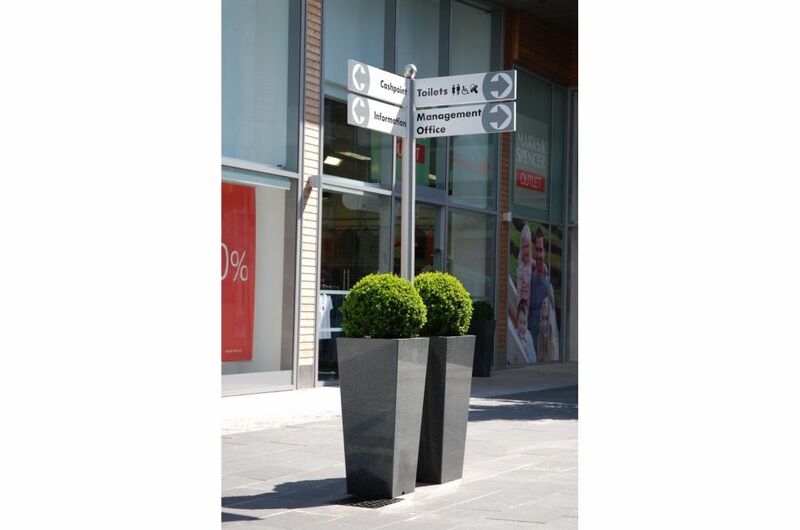 Planters featured in this project include the imposing Tall Taper XXL and Taper 1100 (used extensively throughout the scheme), and the smart and elegant Granite Tall Taper XL (used principally to frame and signpost the doorway to every shop). 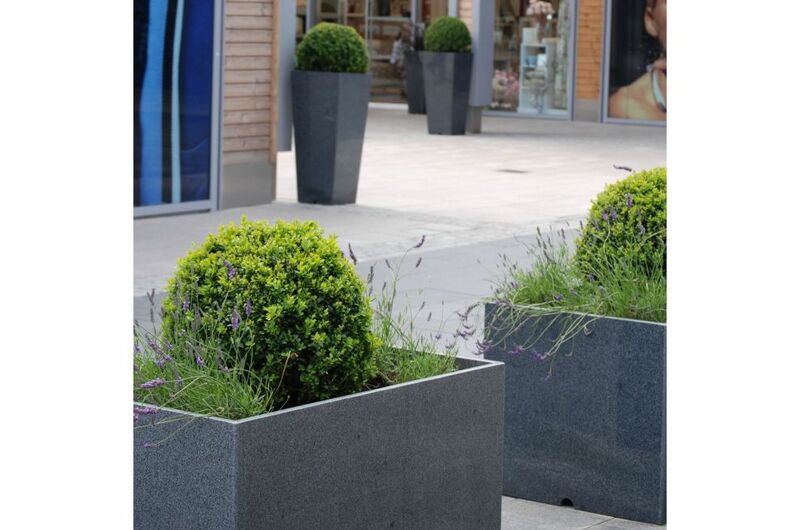 In addition to these tall planters, bespoke 1200mm troughs were used to create structure within the open avenues of the mall.